Generally, when FreedomWorks discusses forfeiture, it’s when property or money is seized and the individual isn’t charged with or convicted of a crime. The entire principle of the presumption of innocence is thrown out the window because the property is put on trial, creating a legal fiction. There are numerous examples of these types of forfeiture cases. But the Timbs case is different because it does involve a crime for which there was a successful prosecution and whether the seizure of a vehicle is an excessive fine. The case involves Tyson Timbs, whose Land Rover was seized after he sold $400 worth of heroin to undercover police officers in Indiana. Timbs doesn’t deny his guilt. He pleaded guilty and received one year of home confinement and five years of probation. He was also required to complete a drug treatment program and pay certain fees associated with his case. Like so many caught in the opioid crisis, Timbs became addicted to prescription drugs that he used to mitigate pain in his foot. He turned to heroin after his prescription ended, and subsequently turned to dealing drugs to feed his addiction. His vehicle was seized because law enforcement claimed that it was an instrument to facilitate crime, although it wasn’t a product of crime. Timbs received a $73,000 payout from his father’s life insurance policy. He used part of the money to purchase the vehicle. The forfeiture of the vehicle was rejected by a trial court, finding that permanent seizure was “grossly disproportionate” to the crime. The Indiana Court of Appeals relied on prior precedent applying the Excessive Fines Clause of the Eighth Amendment, despite it not having been incorporated to the states, to reject the forfeiture of the vehicle. Unfortunately, the Indiana Supreme Court ruled against Timbs because the clause hadn’t been incorporated by the Supreme Court to the states. Some may question why the Supreme Court has to incorporate any part of the Bill of Rights to the states. This goes back to Barron v. Baltimore (1833). The Court ruled that the Bill of Rights applied only to federal citizenship, not state citizenship. However, the approach has changed since the late 19th century and more rapidly in the 20th century. 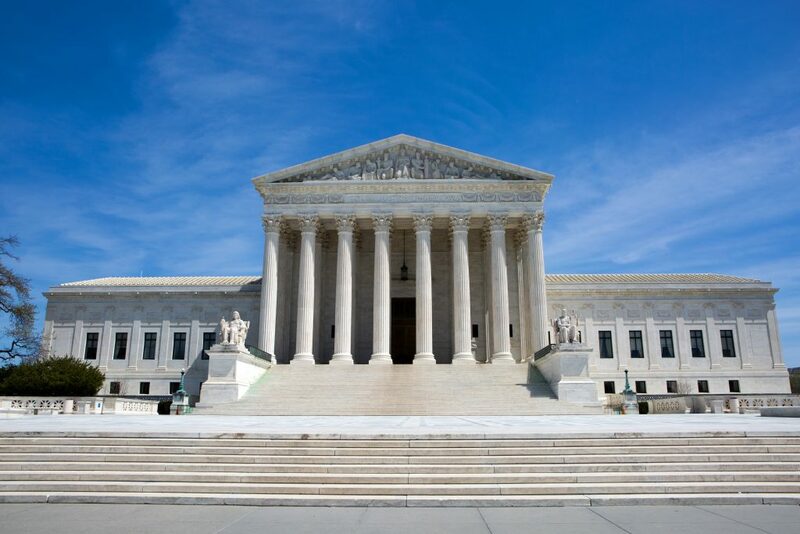 The Supreme Court has incorporated parts of the Bill of Rights through the 14th Amendment. One of the more notable, and more recent, cases were McDonald v. Chicago (2010), which incorporated the individual right to keep and bear arms established in the Second Amendment in District of Columbia v. Heller (2008) to the states. There are fascinating debates among scholars about whether incorporation should happen selectively or wholly and whether it should be done through the Due Process Clause of the 14th Amendment or the Privileges or Immunities Clause. A dive into these debates is, perhaps, a good subject for a blog post at another time. During the oral argument on Wednesday, Timbs’ attorney, Wesley Hottot of the Institute for Justice, a libertarian public interest firm, presented a compelling case for the Court to incorporate the Excessive Fines Clause to the states. His argument rested on the precedent established by the Court in Austin v. United States (1993) and cases connected to Austin, which are Hudson v. United States (1997), United States v. Bajakajian (1998), and Kokesh v. Securities and Exchange Commission (2017). In Austin, the Court held that the permanent seizure of property in civil asset forfeiture cases was an excessive fine under the Eighth Amendment. The Court, however, didn’t incorporate the right to the states. The forfeiture contested in Austin was conducted under federal forfeiture statutes. Chief Justice John Roberts and Justice Samuel Alito appeared somewhat skeptical of the arguments made by Hottot. Both questioned how proportionality would be determined. Justice Clarence Thomas rarely speaks during oral arguments, but he has previously expressed a harshly critical view of civil asset forfeiture. The question in the case, as noted, deals with excessive fines. Justice Thomas wrote the majority opinion in Bajakajian, an excessive fines case that involved the forfeiture of money under federal statutes, which was cited by Hottot as precedent in favor of his client. In addition to his sentence, which, again, was one year of home detention and five years of probation, Timbs was required to pay $1,203 in court costs and fees. One would think the permanent seizure of his $42,000 vehicle, which wasn’t obtained through proceeds of illicit activity, is similarly grossly disproportionate. Thomas Fisher, the solicitor general for Indiana representing the state in the case, countered Hottot. He didn’t have a good day. He uttered a few sentences before he was interrupted by Justice Neil Gorsuch, who didn’t hide where he stood on the question of incorporation. “But can we at least get the -- the theoretical question off the table, whether you want to do it through the Due Process Clause and look at history and tradition, you know, gosh, excessive fines, guarantees against them go back to Magna Carta and 1225, the English Bill of Rights, the Virginia Declaration of Rights, pretty deep history, or whether one wants to look at privileges and immunities, you might come to the same conclusion. Can we at least -- can we at least agree on that?” he added. Perhaps one of the more infuriating parts of General Fisher’s argument came during when Justice Stephen Breyer turned the discussion to the abusive nature of civil asset forfeiture. “So what is to happen if a state needing revenue says anyone who speeds has to forfeit the Bugatti, Mercedes, or a special Ferrari or even jalopy?” Justice Breyer asked. Indeed, the recent history of forfeiture is sad and abusive, and it’s one that has come into clear view for Americans, no matter their political views. Conservatives, libertarians, and liberals alike have expressed disgust at what is essentially government-sanctioned theft. Of course, Timbs broke the law, and he was rightly punished for that. But the permanent seizure of his car, which was obtained with legal funds, was grossly disproportionate. Although one shouldn’t make conclusions based on oral arguments, it does appear likely that the Supreme Court will incorporate the Excessive Fines Clause of the Eighth Amendment against the states and finally begin to make at least some progress at the federal level toward reining in this pernicious practice.